Wat is dit voor site? Wij zoeken de goedkoopste boeken op internet. An Introduction to the Three Volumes of Karl Marx's Capitalvonden we het goedkoopst op Bol.com voor €95.50. We hebben gezocht in nieuwe en tweedehands boeken. Rechtsonderaan de pagina kan je het boek direct bestellen	via Bol	.com. The global economic crisis and recession that began in 2008 had at least one unexpected outcome: a surge in sales of Karl Marx's Capital. Although mainstream economists and commentators once dismissed Marx's work as outmoded and flawed, some are begrudgingly acknowledging an analysis that sees capitalism as inherently unstable. 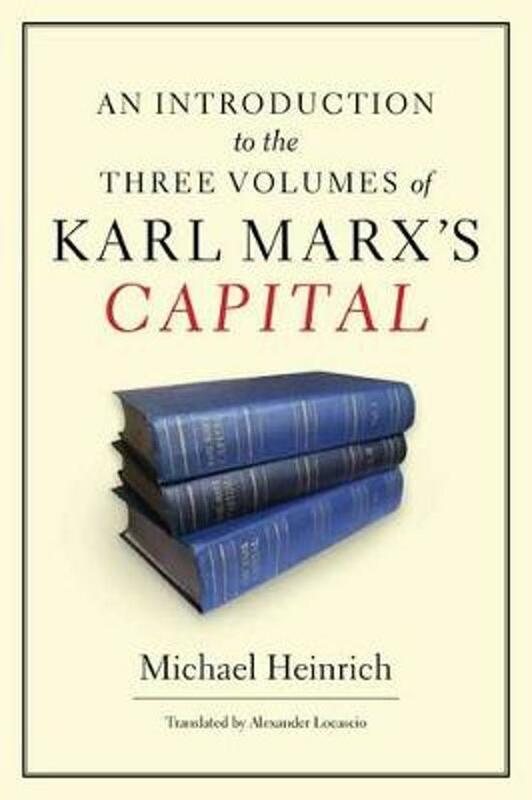 And of course, there are those, like Michael Heinrich, who have seen the value of Marx all along, and are in a unique position to explain the intricacies of Marx's thought. Heinrich's modern interpretation of Capital is now available to English-speaking readers for the first time. It has gone through nine editions in Germany, is the standard work for Marxist study groups, and is used widely in German universities. The author systematically covers all three volumes of Capital and explains all the basic aspects of Marx's critique of capitalism in a way that is clear and concise. He provides background information on the intellectual and political milieu in which Marx worked, and looks at crucial issues beyond the scope of Capital, such as class struggle, the relationship between capital and the state, accusations of historical determinism, and Marx's understanding of communism. Uniquely, Heinrich emphasizes the monetary character of Marx's work, in addition to the traditional emphasis on the labor theory of value, this highlighting the relevance of Capital to the age of financial explosions and implosions.